This volume provides the first survey in English of the Dutch involvement in the Atlantic slave trade and slave system. It covers the period from the origins of the trade and the Dutch conquest of part of Brazil in the early 17th century, to the abolition of slavery in the Dutch West Indies in the later 19th century. Individual chapters focus on the ’investment bubble’ in the Dutch plantation colonies, Dutch participation in the illegal slave trade, and the effects of ameliorisation policies and then emancipation on the slaves of Suriname. Professor Emmer also highlights the particular characteristics of the Dutch West India Company - markedly different from the better-known East India Company - and the low-key nature of the debate on slave emancipation in The Netherlands. 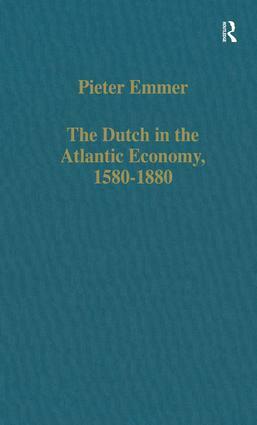 Contents: The Dutch in the Atlantic Economy, 1580-1880: an introduction; The Dutch and the making of the Second Atlantic System; The Dutch participation in the Atlantic slave trade, 1596-1650; The West India Company, 1621-1791: Dutch or Atlantic? ; ’Jesus Christ was good but trade was better’: an overview of the transit trade of the Dutch Antilles, 1634-1795; Abolition of the abolished: the illegal Dutch slave trade and the mixed courts; Anti-slavery and the Dutch: abolition without reform; Changes in the Suriname labour market during the 19th century: Smith and Marx in the West Indies; Plantation slavery in Suriname in the last decade before emancipation: the case of Catharina Sophia; The price of freedom: the constraints of change in post-emancipation America; Between slavery and freedom: the period of apprenticeship in Suriname (Dutch Guiana),1863-73; The ideology of free labour and Dutch colonial policy, 1830-70; Select Bibliography; Index.